Home Inspections; Home Inspector: Edwards, Vail, Silverthorne, CO | True Perspective Home Consultants, Inc.
Pre-Listing inspections are excellent for clarifying a home's current condition. Many sales are voided due to a buyer's dismay at the "functional condition" of the home they intended to buy. The potential property’s image may be exquisite, however it may have serious technical, safety, and/or functional issues present. Prior inspection of the property is a beneficial way to identify, repair and/or disclose issues found in the Home Inspection Report. Repairing current issues in the home is best; however, challenges may exist where repairs are not conducive for the proprietor. Disclosing these points up front & pricing the home accordingly tends to produce the highest results in profitability. As with all our services, in accordance with True Perspective, our inspectors are bound by a code of ethics that ensures customer service and essential discretion. What should you expect from your pre-listing inspection? At the end of the process, you will receive a report detailing the condition of the home. Before you sell, get a thorough home inspection from True Perspective Home Consultants, Inc. Call us for service in the Vail, Avon, Beaver Creek, Eagle, Gypsum and Edwards, CO areas. Before you move forward with your transaction, you need to schedule a home inspection. Finding a home inspector for the job is easy. Finding the right home inspector is a different story. Look for certifications. 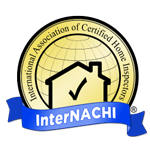 If your home inspector isn’t certified or a member of a trusted home inspection association, you should look elsewhere. Ask for references. A good home inspector will provide references that you can speak with. Ask your home inspector if they can connect you with one of their clients. Inquire about experience. Some home inspectors have years of construction experience to bolster their home inspection expertise. Ask about that before you move forward. True Perspective Home Consultants, Inc. is a certified home inspection company providing much more than an ordinary inspection service. We offer high-level consulting services for buyers and sellers. Call today to schedule your pre-listing home inspection in the Edwards, CO area.